There are few places in the world that offer such artistic riches, many of them free to enjoy, as this city. 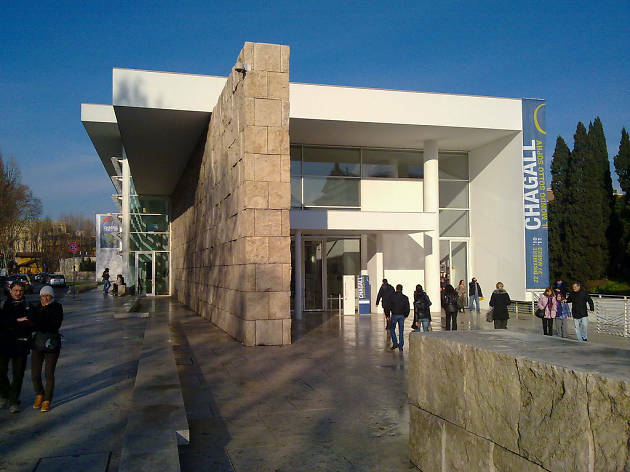 The best attractions in Rome are ones you’ve likely already heard of; any stroll around the city centre (and central Rome, being small, is great for walking) is likely to take you past millennia of beautiful buildings, from the Pantheon (AD 126) to Richard Meier’s shell for the Ara Pacis (2006), or the Roman Forum’s Temple of Vesta (seventh century BC) to the MAXXI contemporary art and architecture gallery (2010). Add to all this some of the best restaurants and cafes for pavement-table lounging and people-watching, and you’ll never run out of things to do and see in the Eternal City. The Colosseum is a monument of epic proportions dating from AD 72. 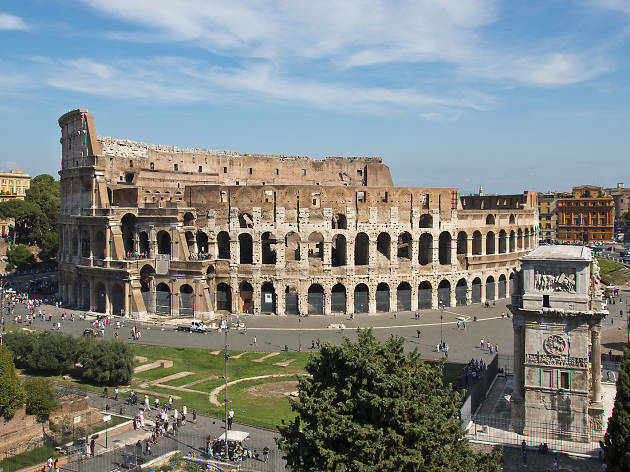 Stories of gory battles between gladiators, slaves, prisoners and wild animals have emerged from this Flavian amphitheatre with a seating capacity of over 50,000 people; nowhere in the world was there a larger or more glorious setting for mass slaughter. This is a necessary pilgrimage for history buffs, and the ideal starting point from which to take in the Roman remains of the city: the jaw-dropping Forum, the Domus Aurea and the Pantheon. 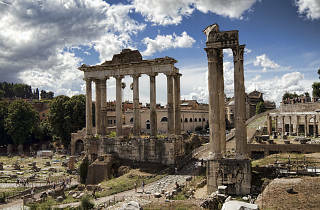 The oldest of Rome’s fora, the Foro Romano (Roman Forum), was once the centre of state ceremony, commerce, law and bureaucracy. 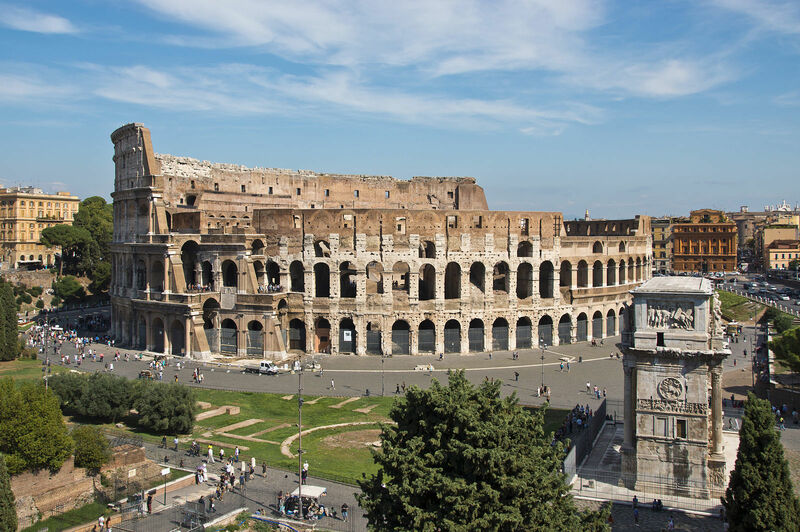 Above the Colosseum to the west (and able to be visited on a cumulative ticket with the Foro Romano and the Colosseum) is Rome’s birthplace, the Palatine. Later, the Palatine became the home of the movers and shakers of both the Republic and the Empire as sumptuous palaces were built. 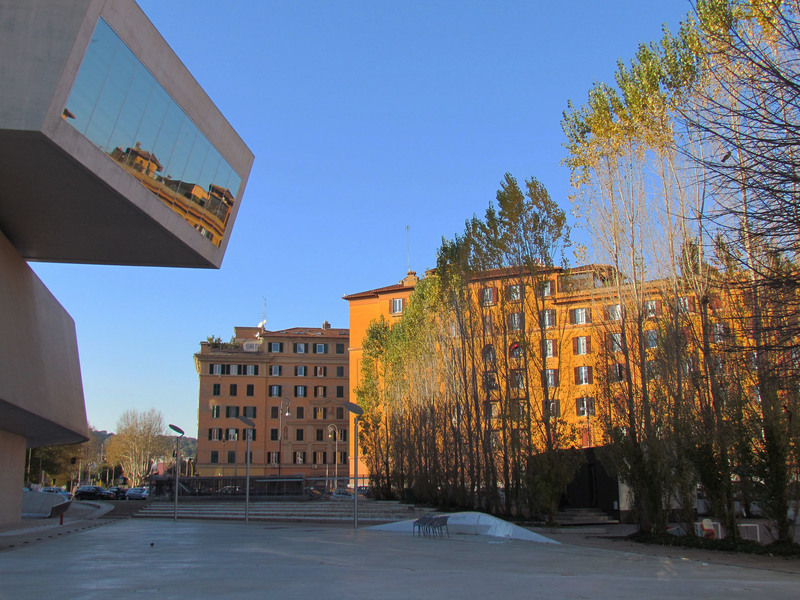 The choice of location was understandable: the Palatine overlooks the Foro Romano, yet is a comfortable distance from the disturbances and riff-raff down in the valley. The Pantheon is the best-preserved ancient building in Rome. 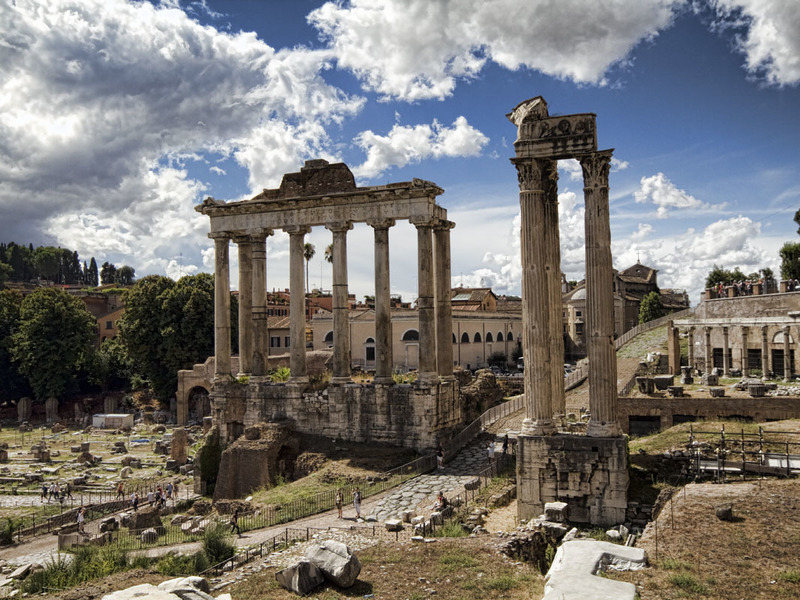 It was built by Hadrian in AD 119-128 as a temple to the 12 most important classical deities. 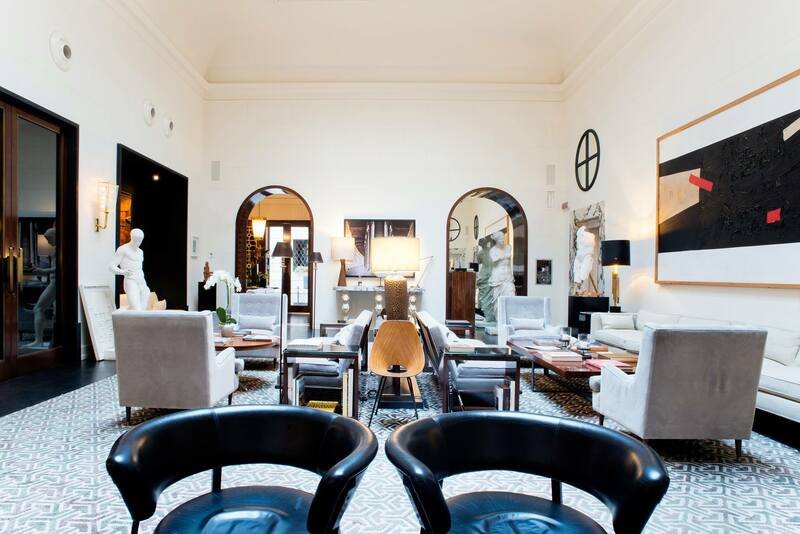 The simplicity of the building’s exterior remains largely unchanged, and it retains its original Roman bronze doors. 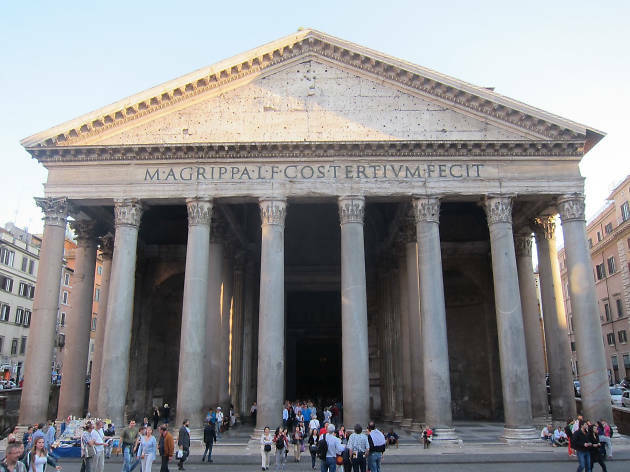 Inside, the Pantheon’s real glory lies in the dimensions, which follow the rules set down by top Roman architect Vitruvius. The diameter of the hemispherical dome is exactly equal to the height of the whole building; it could potentially accommodate a perfect sphere. At the exact centre of the dome is the oculus, a circular hole 9 metres (30 feet) in diameter, the only source of light and a symbolic link between the temple and the heavens. If you met the Pope, what would you say? Well, you probably won't, but you can join an audience with him on Wednesday mornings. If the weather is fine, then he'll hold this general audience in St Peter's Square; otherwise it takes place in the Sala Nervi audience hall. 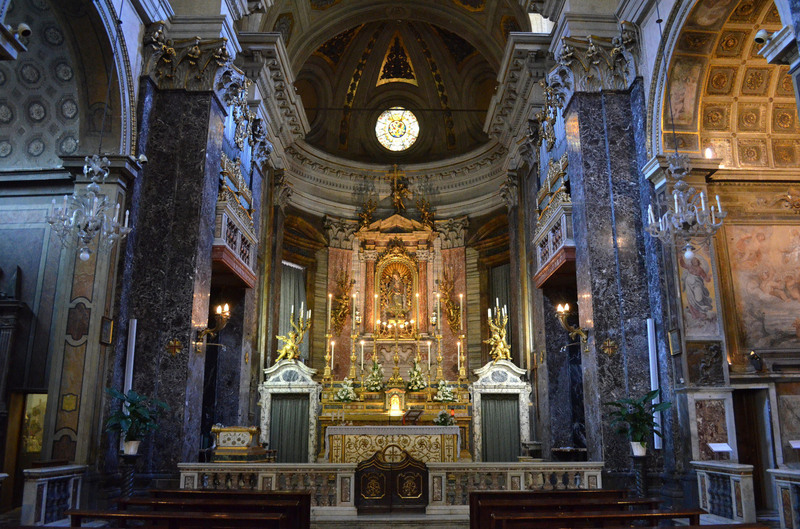 Expect to join clusters of Catholic devotees, and flocks of camera-waving tourists. Afterwards, you can take the opportunity to wander through St Peter's Basilica, admire Michelangelo's stunning frescoes in the Sistine Chapel and visit the famous 'Belvedere Apollo' and 'Laocoön' at the Museo Pio-Clementino among the Vatican Museums. Tucked away in a tiny piazza and almost always surrounded by jostling crowds, the fountain’s stark travertine gleams beneath powerful torrents of water and constant camera flashes. It’s a magnificent rococo extravaganza of rearing sea horses, conch-blowing tritons, craggy rocks and flimsy trees, erupting in front of the wall of Palazzo Poli. Nobody can quite remember when the custom started of tossing coins in to the waters. The fountain is drained every Monday morning and the money goes to the Red Cross. Visit as early or as late as you can to have a chance of avoiding the crowds. 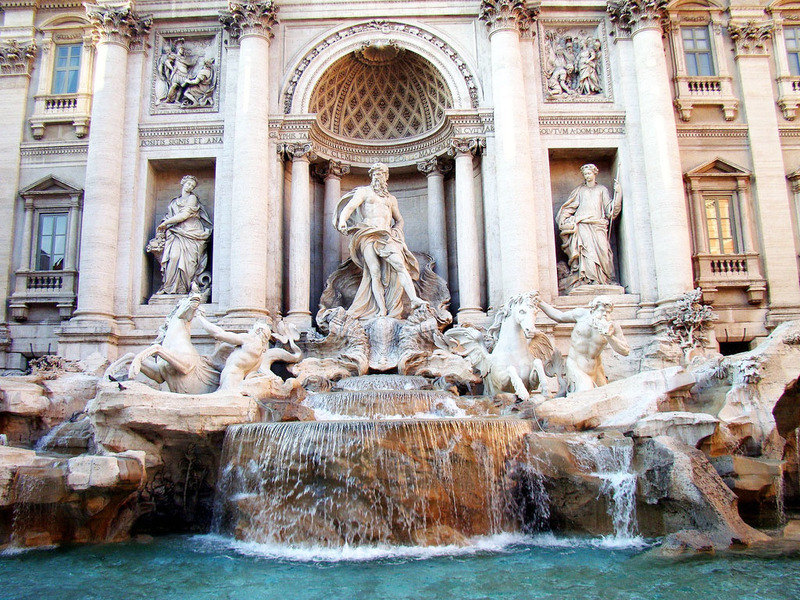 This is the city that has nurtured the art of Michelangelo. 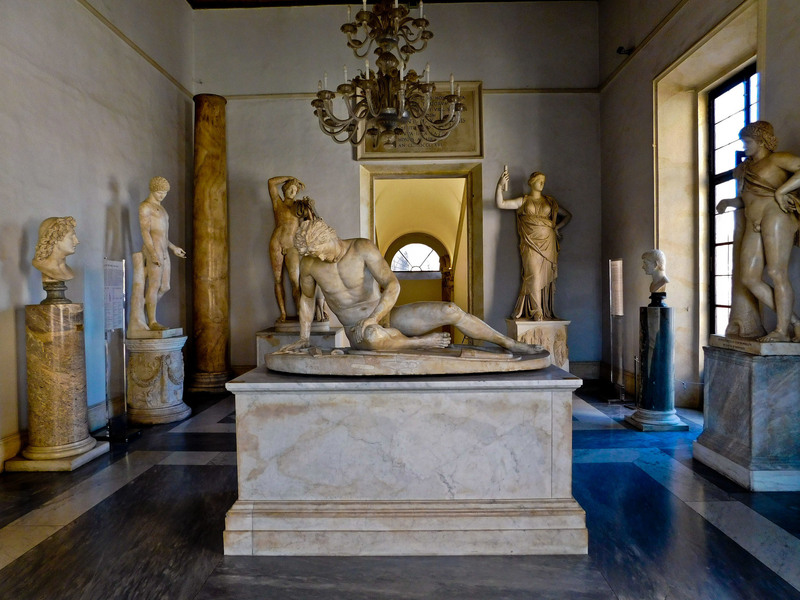 Housed in twin palaces on opposite sides of his piazza del Campidoglio are the Capitoline Museums, which constitute the oldest public gallery in the world, having opened their collection to the public in 1734. Once inside, you can admire breathtaking paintings by Titian, Tintoretto, Veronese and Caravaggio, and beautifully crafted statues by the Baroque genius Bernini. 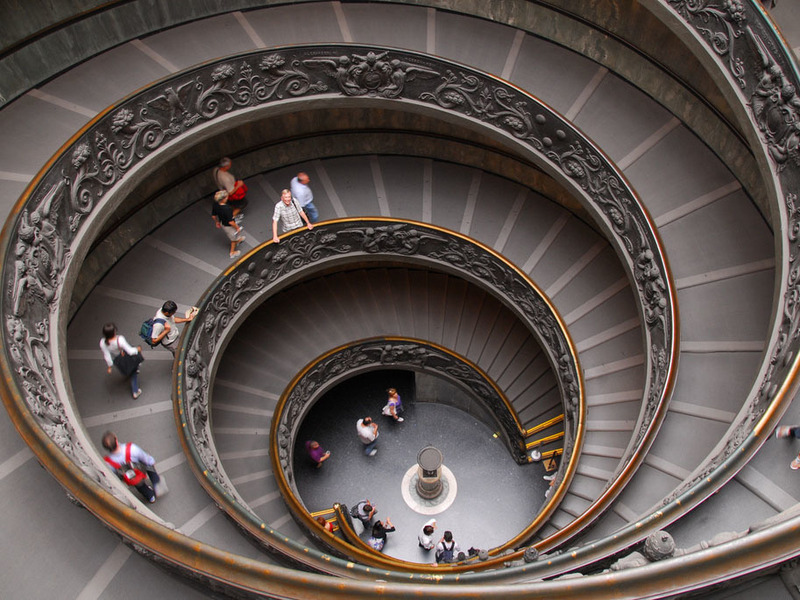 While on the art trail, don't miss the Borghese Gallery and the Palazzo Barberini Galleria Nazionale d'Arte Antica. 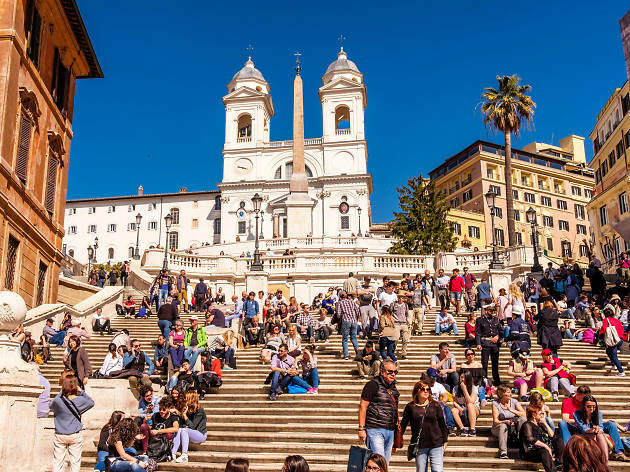 Piazza di Spagna takes its name from the Spanish Embassy to the Vatican, but is chiefly celebrated for the elegant cascade of stairs down from the church of Trinità dei Monti. Known in Italian as the Scalinata di Trinità dei Monti, the English Grand Tourists referred to them as the Spanish Steps. At the foot of the stairs is a delightful boat-shaped fountain, the barcaccia; it’s ingeniously sunk below ground level to compensate for the low pressure of the delicious acqua vergine that feeds it. The steps are best seen first thing in the morning before the crowds arrive. Designed by Anglo-Iraqi architect Zaha Hadid and inaugurated in 2009, the Museum of the Arts of the 21st Century displays a permanent collection of works by mainly—but not exclusively—Italian contemporary artists and stages a changing programme of shows on artistic and architectural topics. It’s the dramatic building itself, however, that holds centre stage here. 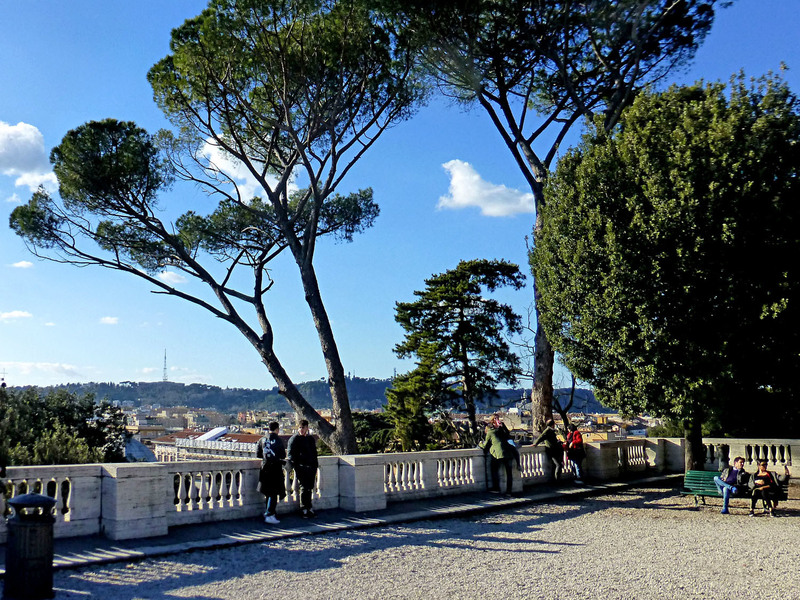 Overlooking piazza del Popolo, and now an integral part of the Villa Borghese, is one of the oldest gardens in Rome: the Pincio. The Pinci family commissioned the first gardens here in the fourth century. Pincio is best known for its view of the Vatican at sunset, with the dome of St Peter’s silhouetted in gold. The paved area behind the viewpoint is popular with cyclists (bikes can be hired nearby) and skaters. To the south-east of the Pincio is the Casina Valadier, now a pricey restaurant with a to-die-for view. 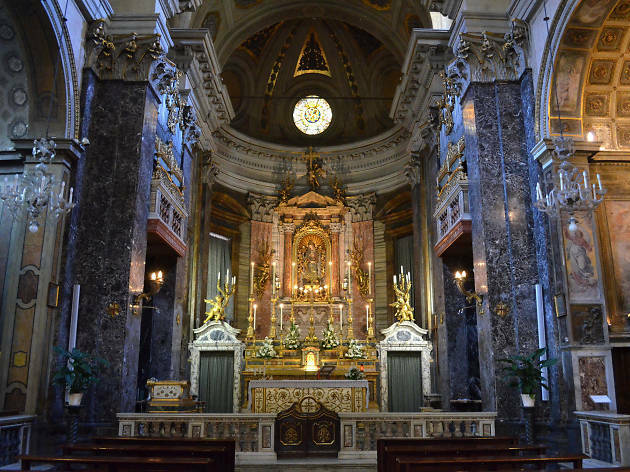 Perk yourself up with a cupful of miraculous water in the church of Santa Maria in Via. In 1286 a stone bearing an image of the Virgin’s face floated to the surface of a well, over which this church was later built, and locals and visitors alike are still going crazy for the water. Still need to book a hotel? 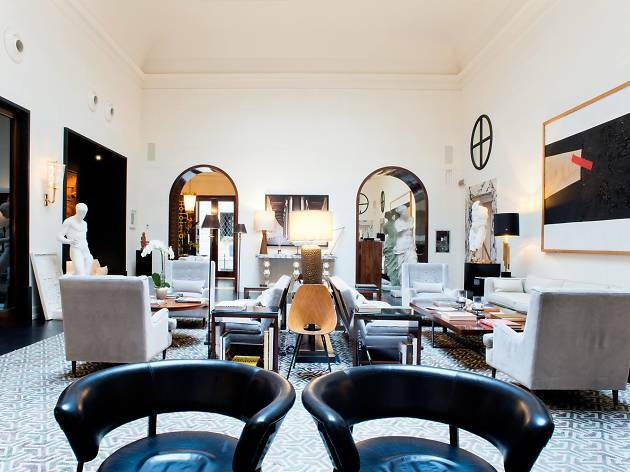 Rome's hotel scene is constantly changing: Chic boutique offerings with bars, restaurants and even shops attached are creating fierce competition to luxury chains, while small, stylish B&Bs are ever more numerous, and there are some great deals to be found across the board.